This week we were given a lovely bag of home-grown apples and pears as well as a microwave by a generous Walthamstow Freegler – we have a kitchen crisis which is too long a saga to go into here. We’re all pickled and chutneyed-out, plus we don’t have an empty jam jar in the whole house – so what to do with a rather large bag of fruit? Bhajis of course! One of the foodies absolutely loves all things fried – goujons, breadcrumbs, fritters and chips. These spicy apple & pear bhajis went down an absolute storm for breakfast. This recipe made 20 bhajis so we froze a large bag of them for mid-week snacks. 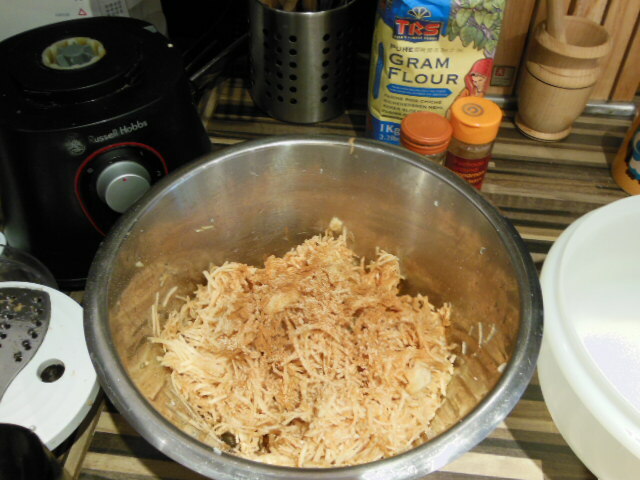 We used gram flour which is made from chickpeas, it’s high in protein and gluten-free. Peel, quarter and core the apples and pears. Grate in a food processor. In a large bowl mix the gram flour, nutmeg, cinnamon and chilli flakes (depending if you want your bhajis to be spicy or sweet). Add the grated fruit and stir until all the ingredients are thoroughly mixed together. Let the mixture rest for a few minutes. Heat 2 tbsp of vegetable oil in a heavy-based frying pan until it’s beginning to sizzle. Open the windows and turn on the extractor fan. Once the oil is hot, roll the mixture into golf ball sized shapes, then flatten slightly into small patties. Add to the pan and fry on each side for about three minutes until golden brown. Leave to cool on kitchen paper to absorb any excess oil. Sprinkle with sugar and enjoy with a pot of coffee or a hot chocolate. Just need a coffee now…. 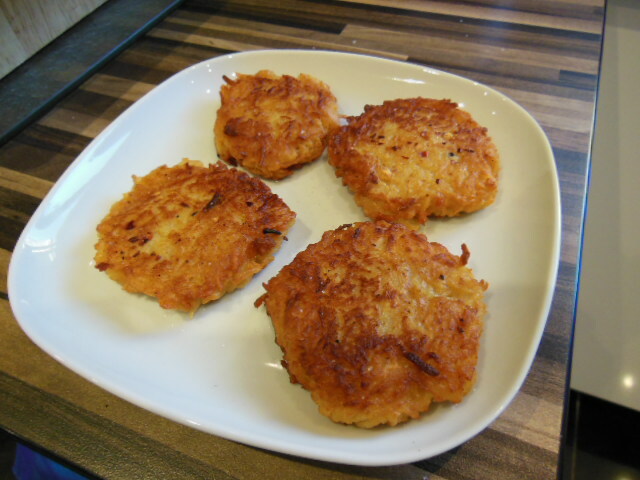 This entry was posted in Recipes and tagged Apple, Bhajji, cockney, cockney bhajis, fritters, Gluten-free diet, gram flour, Pear. Bookmark the permalink. Thanks for this recipe. What a lucky break for us! 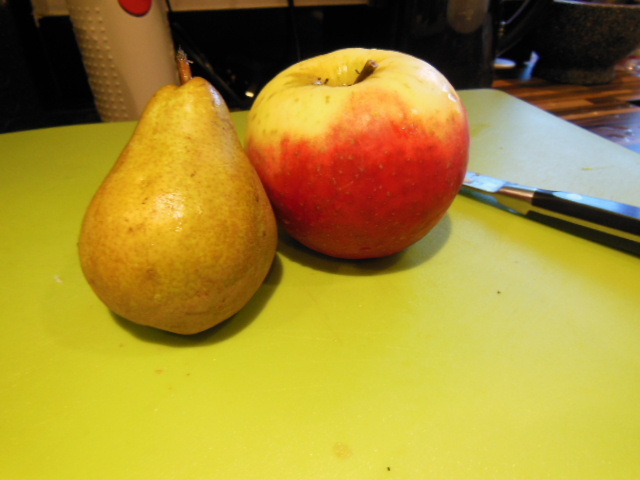 We had loads of pear’s off our tree and apples off a relative’s to use up. These went down a treat for brekkie when we’d run out of bread- everyone from baby to granny loved them. Ta! argh! infuriating typo in pears!